Dr. Sonja Köke joined the chair in October 2016 as a research and teaching associate. 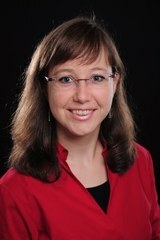 From 2012 to 2016 she was a research associate at the chair of public economics and part of the research project “The Relevance of Voluntary Efforts and Fairness Preferences for the Success of International Climate Policy: A Theoretical and Empirical Analysis at the Individual Level” which was financed by the German Federal Ministry of Education and Research (BMBF). She got her Bachelor degree from the Georg-August-Universität Göttingen, her Master's degree from the Free University Berlin and spent part of her master's studies at the University of Mississippi and the HEC at Université de Liège. Her research interests lie in environmental economics, especially negotiations of international climate agreements, in behavioral economics as well as in the conceptualization and measurement of human well-being.